Please answer each of the questions below. When finished, click on the SUBMIT button at the bottom of the page. Each question must be answered. You will receive a confirmation of your registration as soon as it is processed (within 2 business days). If for any reason you do not receive confirmation, please contact us at education@gidedental.com. The information above that I am submitting to gIDE is true. Please fill out the short form below and our education coordinator will be in contact to assist you with further details and any questions you have regarding the course. If you prefer to contact us directly please call +1 310 696 9025 or email nena@gidedental.com. What are you hoping to learn from this course? Please answer each of the questions below. Each question must be answered. How do you rate your ability to understand English? How would you rate your skill with computers, internet, and handheld devices? Have you ever participated in online educational programs, chats, forums or blogs? What dental school did you graduate from? What year did you graduate? What was your specialty? 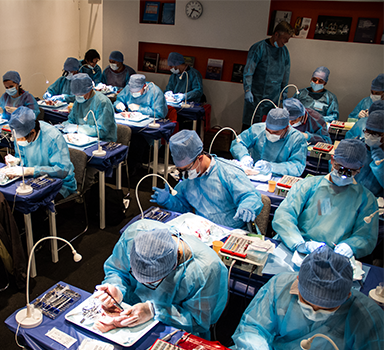 How many hours of Implant Education have you completed? How many implants have you placed? How many implants have you restored? What are your goals during this Program? This is a Certificate program that will advance your knowledge, skills and patient care. 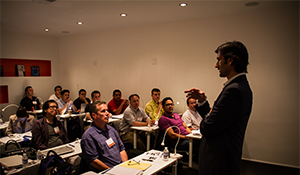 It is a continuing education program for dentists seeking excellence in the field of implant dentistry, supported by a Certificate from gIDE and a Certificate from LLU acknowledging that the program has been successfully completed. gIDE does not attempt to provide licensing or documentation for the purpose of complying with the legal requirements of any specific country. All requests for change of location are based upon space available. Participants may choose to take one Session at a location different from their original region with no affect on the total program fee. More than one Session taken at a different location may result in an increase in fee. Participants who must miss a Session for reasons outside their control are encouraged to take a Make-Up Session at the next available time and location. In the event this is not possible, the participant may proceed to their next Session. All Sessions must be completed prior to receiving final Certificates from gIDE and LLU. Make-Up Sessions may result in a change in fee and will be determined on an individual basis. Monies paid gIDE for a Session that is missed will be retained by gIDE as payment for the Make-Up Session to come. 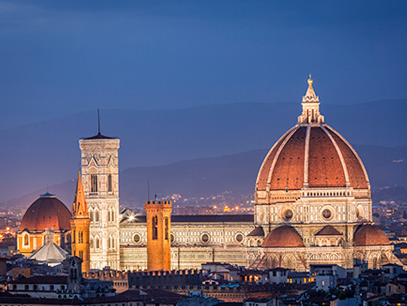 Participants requiring Visas to travel to Master Program destinations outside their country must notify gIDE at least 3 months prior to time of travel so proper arrangements can be made. Note: It is advisable to check with your nations embassy for any additional requirements. The Education Coordinator/Local Organizer will fill out any required forms or invitation letters that participants request from gIDE only if the request is made no less than 3 months prior to travel time. An invitation letter template is attached for reference. This is NOT a Diploma course. 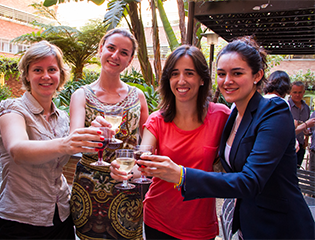 Certificates (NOT diplomas) are awarded by LLU and by gIDE Institute. Participants must be dentists licensed to practice. By joining this program, the participant acknowledges that the gIDE Institute bears no responsibility for the outcome of patient treatment skills & techniques that are learned during the course. Thank you for submitting your registration to the Master Clinician Program. Your registration has now been added to your shopping cart, please complete the process to secure your seat at this event. Dr. Olivier Guastalla: My friend recommended this program...I learned a lot. Workshops with porcine models each session. Diagnostics and planning of implant-supported treatment solutions. Make friends and meet colleagues. Online access to 400+ lectures and clinical videos and more. Exclusive group where students & faculty stay connected, share cases and network. Program Certificate from gIDE and one day certificate from Loma Linda University awarded upon completion. Provided as part of your mandatory self-study. Extensive research compiled in digital format by program faculty. Dates and Location are subject to change without prior notice. This was a very complete program. It covers most of the dental disciplines related to Implant Dentistry. Everything was just perfect, exceeded my expectations. I’m very happy with the teachers and their accessibility, always open to our problems and questions. gIDE Master Clinician Program in Implant Dentistry is the best invested money in my education. It completed my knowledge in implant dentistry and helped me to define the protocols in implant dentistry which I use in everyday practice. 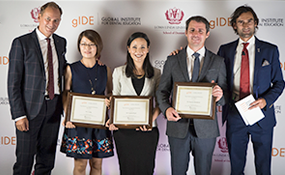 With 15 years of experience and having attended numerous certification programs ranging from the elementary to the advanced, I entered the gIDE program with certain expectations. I have been exceptionally impressed with the course content and the quality of the educators. I have taken more from this course than any of my previous courses combined. Well done, gIDE. This program helped me in different ways, especially with planning my cases and gave me a wider perspective. I’m thankful for the knowledge and practical advices from our lecturers. I am very happy with the lectures and live surgery. This year has been fantastic for me, namely, with implant treatment - both prosthodontically and surgically. I know much more now than ever before. A real ‘confidence booster’ for my professional life. The most advanced, up-to-date and digitally incorporated Implant Program that I have experienced. During the first 5 days of the one-year comprehensive Master Clinician Implant Training program all aspects of bone, soft tissue, and implant management will be featured including the critical steps in osseointegration and implant site development for long-term success, function and esthetics. Hands-on workshops with plastic and fresh porcine jaw models using microsurgical Hu-Friedy hand instruments, resorbable nylon and PTFE suture materials, W&H drill units, Nobel Biocare implant system, and bone regenerative materials are performed by the class and live surgery demonstrations by faculty. The restorative steps involved in osseointegration and implant prosthodontics are part of this session and will cover edentulous, multiple teeth, and single tooth restorations. Accurate impression taking, fit of framework, screw-retained vs cemented, abutment choice and occlusal design are highlighted in detail. During Session II all aspects of soft tissue management and grafting before, during and after implant placement will be discussed as well as the complications seen with these procedures. 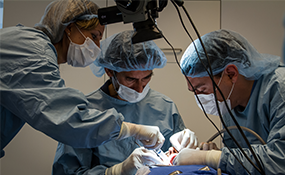 Live Surgery demonstrations by faculty and the hands-on workshop in upper porcine models will highlight these procedures using microsurgical instruments and sutures. Advanced implant prosthodontics will be covered with lectures on full-mouth implant restorations, and mixed teeth/implant cases. During Session III all aspects of advanced implant procedures, ridge grafting, sinus augmentation and complications in implant dentistry will be featured. The Live Surgery demonstration and the hands-on workshop performed by class students will highlight procedures using GBR-grafts with barrier membranes and BMP-2 grafts with titanium mesh. The restorative aspect will focus on esthetic implant prosthodontics and the evidence and experience to deliver high-end esthetic work. with Dr. Sascha Jovanovic, Dr. Egon Euwe, Dr. Jaime Lozada, Dr. Joseph Kan and others. During the final 5 days of the Master Clinician Program new Research and Clinical Advances in Implant Dentistry, Radiology, Periodontics, Pharmacology, Oral Surgery and Oral Biology will be presented by the Program Chairman. Throughout the week implant patients will be presented with advanced and new technology treatment plans in lecture and live surgery format. Final exam and selected case presentations by class students will conclude the 1-year Program with a gIDE Certificate Ceremony and cocktail reception. 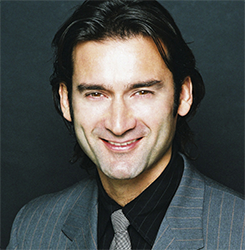 Dr. Sascha A. Jovanovic was trained in periodontics at UCLA School of Dentistry, in Implant Dentistry at Loma Linda University and in Prosthodontics at University of Aachen, Germany. He lectures extensively worldwide and has published over 60 articles and book chapters. Dr. Jovanovic practices dental implant therapy and bone & soft tissue reconstruction in Los Angeles. He is Founder and Academic Chairman of gIDE Institute. 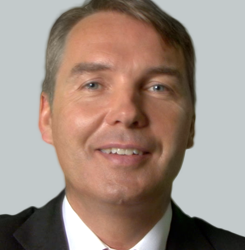 Dr. Roland Glauser is a graduate of the University of Zürich. 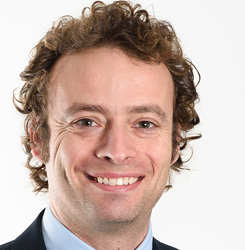 From 1997 to 2006, Dr. Glauser was the assistant professor and senior lecturer at the Department for Fixed Prosthodontics and Dental Materials at the University of Zürich. 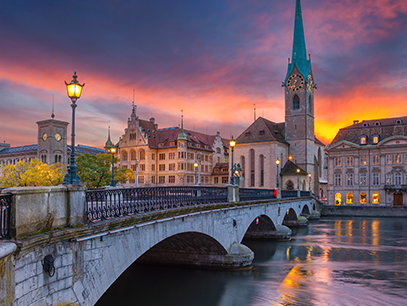 He has been the co-director of the Zürich Dental Center since the spring of 2006. 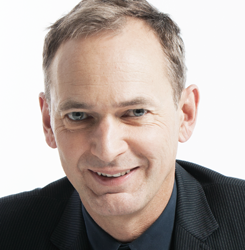 Dr. Glauser was the president of the scientific board of the Swiss Society of Oral Implantology and is an active member of the European Association for Osseointegration EAO. 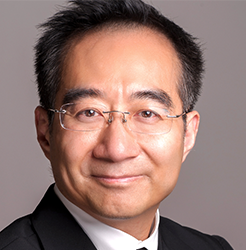 He has published several articles and textbook chapters on the subject of restorative dentistry and osseointegrated implants. He is a reviewer for the Journal of Biomechanics and for the Journal of Oral Rehabilitation. Dr. Glauser has lectured extensively throughout Europe and he received an Academy Award at the Annual AO Meeting in Palm Springs for his presentation in 1999. Dr. Egon Euwe obtained his degree at the University of Utrecht (Holland). He studied under Dr. Sascha Jovanovic at UCLA from 1992 to 1996 and conducted clinical research on resorption of newly formed bone at the University of Milan. Dr. Euwe maintains a private practice focusing on periodontics and oral implantology. 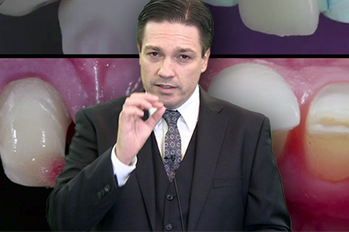 He lectures extensively in Italy and abroad on advanced implantology. Dr. Giacomo Fabbri graduated with honours in dentistry and dental prosthodontics at the University of Pavia. 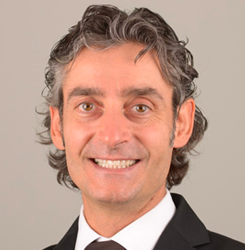 He is an Active Member of the Italian Academy of Prosthetic Dentistry (A.I.O.P), a prestigious scientific Academy. He has published several international articles in peer-reviewed journals and lectured in Italy and abroad. He works in Ban Mancini Fabbri Specialist Dental Practice in Cattolica, Italy in the field of esthetics and prosthetic rehabilitation on natural teeth and implants. Dr. Francesco Mintrone graduated in Dentistry and Dental Prosthesis from the University of Modena and Reggio Emilia in 2000. 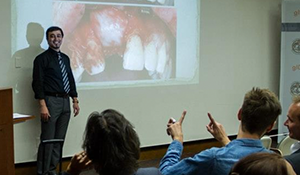 He regularly lectures at national and international courses on whole-porcelain and non-invasive dental preparation techniques. His articles on pre-visualisation have been published internationally in specialist magazines. He currently works out of a private practice specialising in cosmetic dentistry. 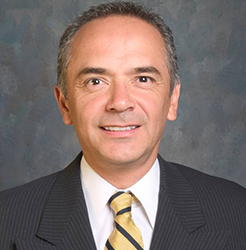 Dr. Jaime Lozada is professor and director of the Advanced Education Program in Implant Dentistry at Loma Linda University, School of Dentistry where he also received his Certificate in Implant Dentistry (87) and Prosthodontics (95). He is a Diplomate of the American Board of Implant Dentistry, past president of the American Academy of Implant Dentistry and a member of the Editorial Board of the Journal of Oral Implantology. The hotel is directly on the sand, steps away from the iconic fitness and bike paths that run along the sand for miles and iconic Santa Monica pier. 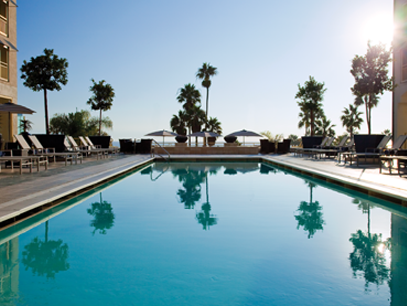 Situated on the edge of the Pacific Ocean, it is one of Los Angeles’ most celebrated beachfront hotels. Overlooking Santa Monica Beach, the ocean view pool deck is perfect for relaxing while soaking up a magnificent sunset after a high impact education day. Everything you want in a coastal getaway begins here. gIDE group rate of $349 plus tax available Sept 22 – 27, 2019. 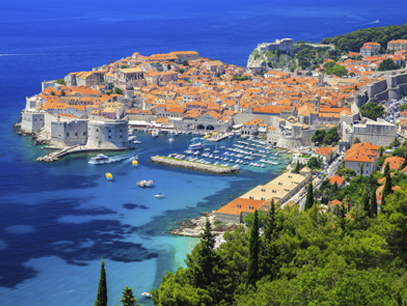 Group rate will be available to book until August 23, 2019.